Gail Liston has hit the road and distilled her extensive travel knowledge to bring us the 20 TopTours from all around Australia. 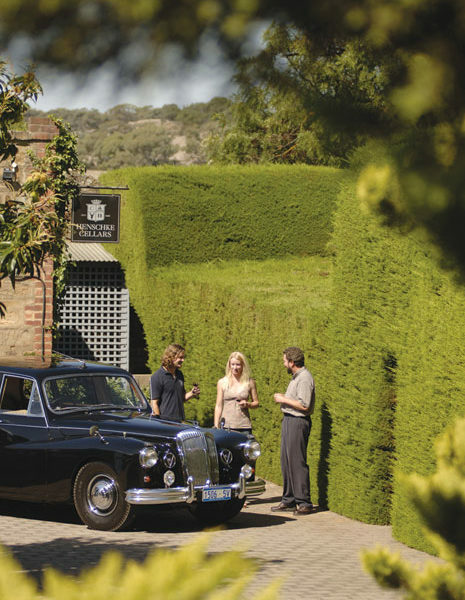 For a little sophisticated tippling, taking a cruise through the Barossa Valley wine country in a classic 1962 Majestic Major Daimler with wine aficionado John Baldwin is difficult to surpass. Throughout the day you’ll sip your way through grape offerings from Henschke, Charles Melton, Charles Cimicky, Peter Lehmann, Torbeck Vintners, Penfolds, Wolf Blass, Grant Burge, Yalumba and Seppelt wineries. And the bonhomie of a day in the Barossa is continually enhanced by the enthusiastic commentary from your handlebar-moustached host, who knows this region inside out and derives great pleasure from sharing his wisdom on all things wine related. Of course a lunch stop at Vintners Bar and Grill, accompanied by, dare we say, more wine, and afternoon tea at Maggie Beer’s Farm Shop provide the sustenance needed to continue the day of small sips. 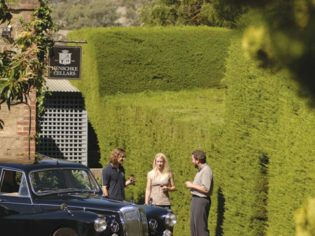 This is luxury touring in anyone’s language – being chauffeur-driven from one taste sensation to another. Brag Factor: Resting your bottom on the very leather from which HRH waved to enthusiastic Aussie onlookers during a state visit in the 1960s.